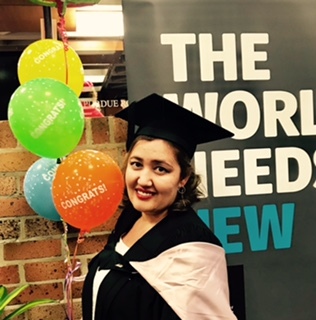 This year I graduated from the prestiges University of Newcastle with a new perspective and experience. And now, I have a new certificate. In my newly bought frame for this very occasion. Nailed to my wall is my new Masters of Health Science. It was an enduring journey, filled with much stress and with a massive workload. But I can safely say that I have finally got through it with a combination of hard work, sweat and tears. I would very much like to thank my family and friends, (I am talking to you Jody), and my kind and patient professors who really helped me get through the tough times. I would especially like to thank my family, who in the midst of my panic, stress and general uni life, supported me and encouraged me to continue with my studies. So thank you so much! I would like to thank my boys for being kind and bringing me coffee and chocolate, and more coffee. I would like to thank my daughter for proof reading some of my long, that I know for her were boring papers. And now after 2 years. I finally graduated! And I am ready to wake everyday and see the Masters hanging off my wall.